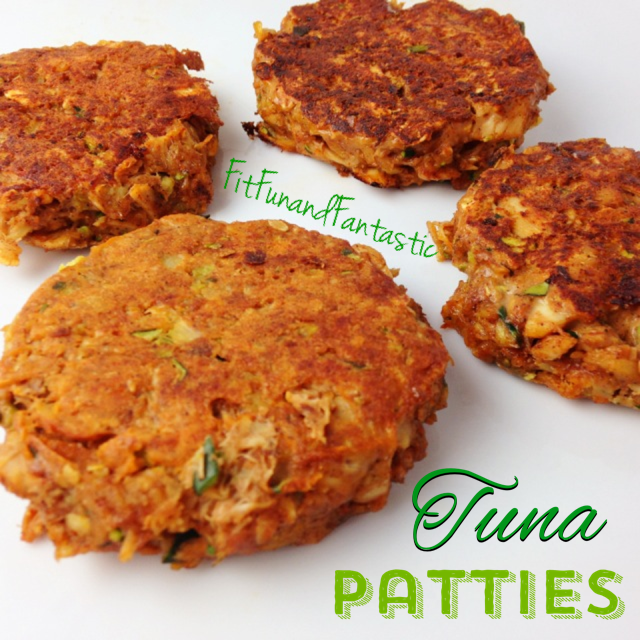 So these Tuna Patties were created last night because I realized I had nothing prepared for lunch today! *Gasp* My dad and I both had them today for lunch and absolutely LOVED them!!! These will definitely become a staple in my household! Finely chop ½ zucchini (I used a food processor) and cook on a pan using coconut oil or olive oil until zucchini softens. Then mix all of the ingredients together and shape the mixture into 4 patties. Heat a pan on high heat until it is hot, then place all 4 patties on the pan and turn it to medium heat. Flatten the patties with a spatula. Let them cook for a little bit and flip. Both sides should be browned and the center should be cooked through. These are great served hot or cold. This recipe is very versatile. Don’t have all the seasonings? Use different ones! Don’t have zucchini? Use onion! Don’t have tomato paste? Use ketchup! Recipe can easily be doubled for meal prep. 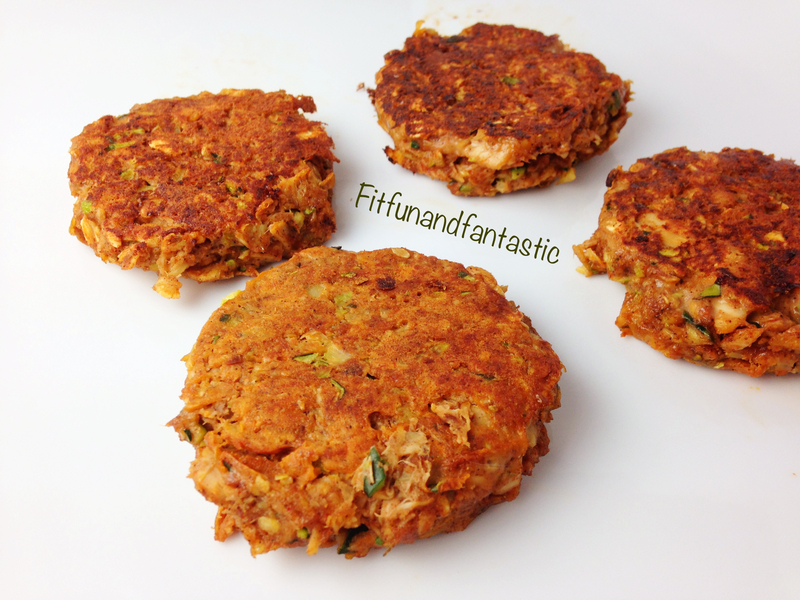 8 Responses to "Easy and Delicious Tuna Patties"
they were really good except they were super watery and they didn’t stay in a pattie form. they just flopped around. I even drained a lot of the liquid. I don’t know how you got it to stay together. I’m sorry to hear that! I have made them a ton and so have many others with success. Even though they are a bit watery the key to is let them cook fully on one side before flipping. When you heat them in the pan do you use oil or just put them in the pan with no oil?